Christian music is filled by artists who produce music that could be best described as “same old, same old”. It’s a distinct pleasure to find artists who wants to break the musical norms and share a vision that is new and fresh. And so enters Whosoever South with a unique infusion of country and old time gospel blended into their rap/hip-hop sound. While their lyrical content can best be described as straight ahead faith and worship, it’s the music that takes what could have been ordinary and brings it to a new level. The Georgia based Whosoever South was founded in 2008 with the husband and wife team of Rowdy and Sarah Eunice along with Mike Mitchell, have released a few EP’s over those years. Now they are poised to deliver their first full length effort, Goin’ Home come May 14th. The popular opening track “Where We From” gives the listener some obvious clues as to the work, values, and musical background of Whosoever South. “All The Time” finds it’s basis in bluegrass then gently heads into an interesting hip-hop mix. The stand out track from Goin’ Home is the blues inspired ” That’s Life”. A wonderful blending of hip-hop and blues as Rowdy vocals take us to the roots of our faith in Christ. “Give My Life To You” defines many of the potential obstacles Christian’s share their faith to non-believers and their own family, but emphasizes the blessings provided by Christ. Whosoever South offers up a number of genre blends through Goin’ Home, but the reggae inspired “He Loves Me” still comes as a musical surprise. Goin’ Home has to be considered one of the outstanding albums released in 2013. Accolades go to Whosoever South for stretching the musical boundaries of Christian music as they take music to a whole new level. 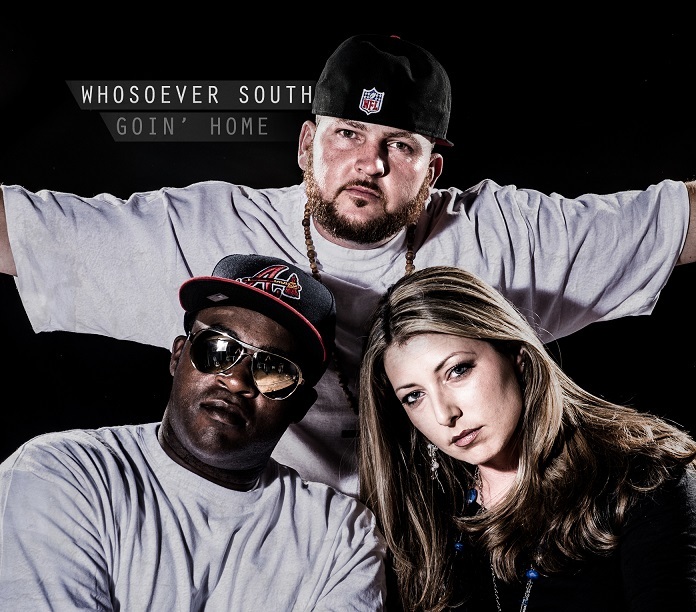 One Response to "Whosoever South – Goin’ Home review"